Every year, millions of families make the trip to one of Disney’s famous amusement parks. Thousands of parents diligently save to bring their young children on the vacation of a lifetime. Honeymooning newlyweds stroll the streets of “The Happiest Place on Earth,” snapping pictures with Mickey, Minnie, Donald, and Goofy. Some visitors even pick up a season pass to enjoy this magical place all year round. But what if there was an easier way to enter Disney World? What if your status as a child under the age of 16 entitled you to a lifetime pass? And what if that pass not only entitled you to free entry but automatic access to every one of Disney’s special VIP perks? And what if the only condition was that you have a parent carry you into the park? Sound unfair? Well, that’s exactly what the bipartisan open border club has been telling hardworking Americans they must do when it comes to DACA, or Deferred Action for Childhood Arrivals. “Compassion,” they proclaim. “It’s the right thing to do,” the insulated elites exclaim. The hardworking parents who took on extra shifts to pay the ticket price for admission certainly would appreciate learning of such “compassion.” Disney’s shareholders would likely revolt, slamming the board members who so carelessly voted to open park doors. And wait until you saw the new lines of young parents desperately trying to get their children into Disney to take advantage of such a unique opportunity. But this isn’t a low-stakes issue involving theme parks and line-skippers. This is a dangerous national security issue that’s putting our country at risk and setting a dangerous precedent for our nation. For decades, the establishment immigration lobby has been insisting Americans give so-called “Dreamers” a lifetime pass to America: citizenship. Don’t worry, they say. These “Dreamers” will enhance the American experience. At the same time, the open borders club turns a blind eye to the pitiful state of our immigration system, demanding that immigrants who skip the box office be welcomed into our arms. Those same elites never mention the millions of law-abiding and hardworking immigrants who enter our country legally—some after waiting over a decade to join this place we call home—and are getting delayed and punished for following the law. They certainly never discuss the thousands of felons shielded from deportation by so-called “prosecutorial discretion” (translation: ignoring congressionally-passed law). And the American citizens who refuse to reward the line-skippers and call for enforcement of our current laws first? Attacks of racism, bigotry, and, yes, anti-Americanism. What good is having a price for park admission or a national immigration policy if they are not enforced? Why subject any potential immigrant to vigorous background checks if other immigrants can walk right across our border, wait a couple of years, and unlock the golden ticket: American citizenship? Americans know DACA is nothing more than a cheap ploy for amnesty, a sort of citizenship-for-votes scheme that could only be hatched in the darkest corners of Washington, D.C., by liberal elites. The forgotten men and women of America have a message to the backroom wheelers and dealers in Washington feverishly looking for a so-called permanent “DACA fix” in 2018: Do your job. Secure our border. Keep America a place that rewards those who work hard and come here legally. And most importantly: Do not reward law-breakers. Anything less would be, well, goofy. 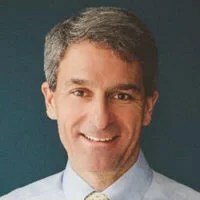 Ken Cuccinelli is president of the Senate Conservatives Fund and the former Virginia attorney general.